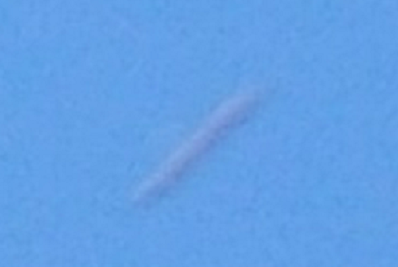 Latest UFO sighting photograph – Daytime cigar-shaped object recorded in Florida on 13th January 2010. Great stuff man and i love your site, i drop in everyday for the latest updates and truely appreciate people such as yourself who dedicate their time to such things…<br />peace, light and wisdom..
Thanx man! And i appreciate people such as yourself, who are giving me motivation to continue my work!